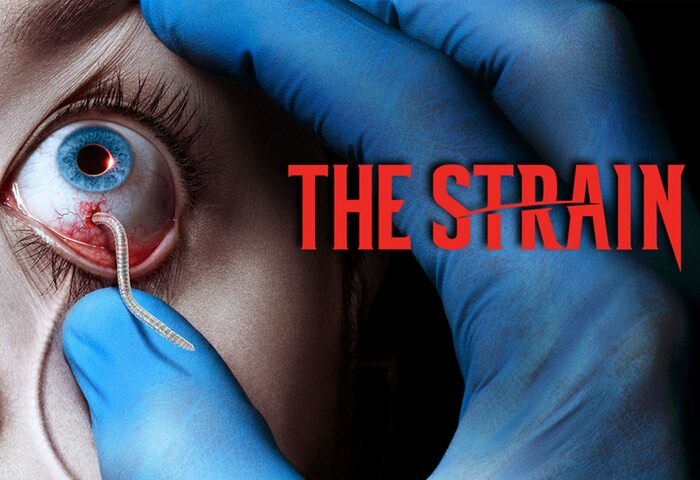 Last night the first episode of the third season of The Strain has premiered on FX and is now available to watch via the PlayStation Vue streaming service. If you haven’t already seen the new season episodes take a look at the preview trailer below which provides a glimpse of what you can expect from this season. Sid Shuman explains more via the PlayStation Blog. Since getting PlayStation Vue, I’ve been a lot more interested in catching up on new shows. From time to time, I’m going to check in with the creators of some of my favorite shows here on PlayStation.Blog — starting with The Strain, an unusual take on the vampire mythos created by Guillermo del Toro and Chuck Hogan that was one of my favorites in 2015. To mark this Sunday’s season three premiere, I spoke with Chuck Hogan, co-creator, to learn more about the show’s origins and where we’re headed in season three. Enjoy! – PlayStation.Blog: What inspired the original concept of a worldwide vampire apocalypse? Chuck Hogan: It was Guillermo’s original vision. We started working on this in 2006, before the “Twilight” phenomenon and the current apocalyptic and post-apocalyptic trend. We wanted to set a story against the potential fall of humanity. PSB: And the vampires themselves — or strigoi — couldn’t be further from the debonair depictions stretching back to Dracula. CH: Again, this was Guillermo’s original concept, and the one that excited me the most. We’ve taken the vampire myth back to its pre-Dracula origins. These are brutal, nasty creatures that live in the dirt. – PSB: The Strain began as a series of novels — but I was surprised to learn that it was originally intended as a TV series all along? CH: Guillermo originally pitched it as a show, but the networks in the mid-2000’s didn’t get it at all. He decided to do it the way he wanted to, and we met and started working together. The novel version has evolved quite a bit due to many factors, primarily because television is a completely different medium. The books are there for us to borrow from, but not to follow. Format full interview jump over to the official PlayStation blog via the link below.